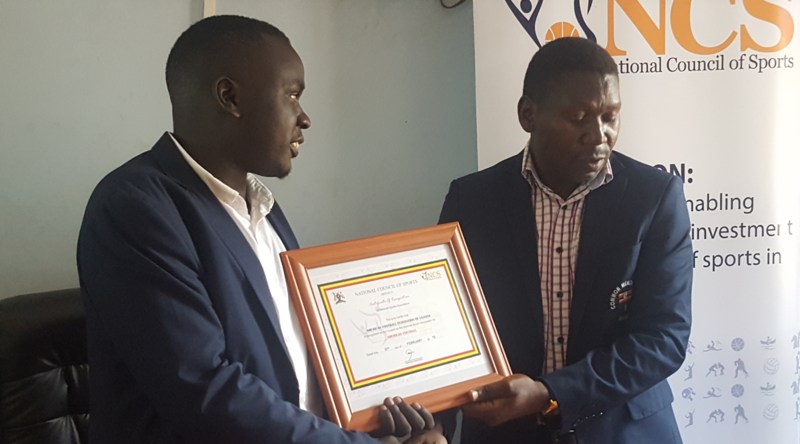 LUGOGO – The National Council of Sports (NCS) recorgnised three more sports associations, according them with certificates. 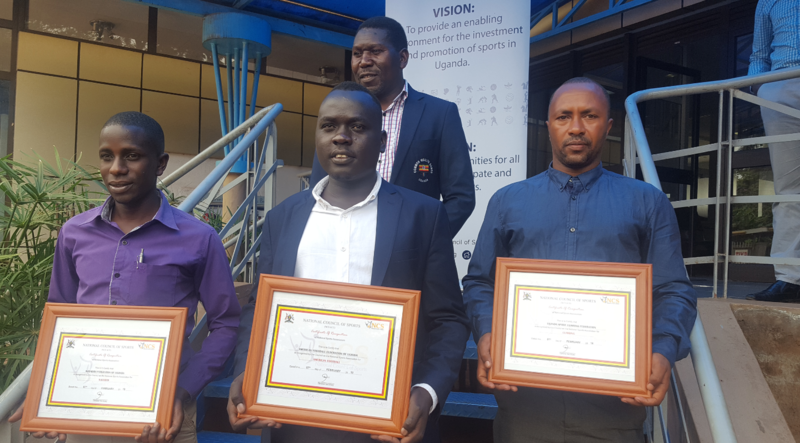 These were officially handed their certificates at the headquarters of the National Council of Sports found in Lugogo, Kampala on Thursday morning. Assistant general secretary at NCS, David Ssemakula Katende graced the brief ceremony, urging the new member associations to comply with the rules and help grow the sports in the country. “I would like to congratulate our new members upon reaching the milestone, said Katende. “However, this is just the beginning and i urge them to continue complying with the rules as they grow their respective sports. Flanked by the head of legal and compliance, Shaddy Nakamanya, Katende also urged the newly founded associations to get to business immediately. “This certificate is just the beginning of the journey. It is not an individual certificate, it belongs to the whole association and use it well. Please make use of this mandate you have been granted. We now have 48 national recognized associations in the country. Richard Assimwe McBond – Climbing Sport President. “We are privileged to have this certificate. “The climbing sport has been existing since 2016. Uganda is the few African countries where the sport is. The other countries are; South Africa, Rwanda, Morocco, Algeria and Namibia. “The climbing sport takes two versions; indoor on the walls and outdoor in the stones. Our head offices are found at the Back Packers in Mengo, Kampala. Jacob Kato – Kabaddi Association President. “The Kabaddi sport is interesting and many Ugandans will love the sport. “It is an out-door sport where there are 6 players and one tackler playing on a carpet in an area of 10 X 6 metres. “The Kabaddi sport has been played in Uganda since 2017. It has a combination of other disciplines. “Getting the certificate is a big milestone towards the legality of the sport operations. 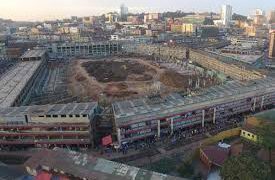 Our head offices are in Mulago, Kampala. Steven George Okeng-American football President. “Getting a certificate is a big step forward towards the growth of Uganda American Football Association. “We now expect more support from the National Council of Sports. We have started this sport in many secondary schools, international schools and universities as a strategy of tapping talent from the grassroots. “In April 2019, we expect an experienced National Football League (NFL) player, Mathias Kiwanuka (former New York Giants player) to visit Uganda and share skills as well as his experiences as an American football player. “Our headquarters are located along Mawanda Road, Kamwokya in Kampala with a training ground at Kabanyolo, in Gayaza. Some of the International schools already enrolled for America football include Galaxy International, Rainbow and Acorns. The universities on board are; Gulu, Kyambogo and Lira will advanced talks to bring Makerere University in ripe stages.